It’s that time of year! Breckenridge Ski Resort has closed for the season but that doesn’t mean the fun has to stop. This time of year, typically referred to as “mud season”, may be deemed a slower time of year, but with that comes great deals. End of season deals include: gear, lodging, shopping and DINING. For a full compilation of Steals & Deals Breckenridge offers this time of year, click here! Although most restaurants shut down for a few weeks at a time to do some obligatory spring cleaning, most participate in the Breckenridge Restaurant Association’s Dining Passport. Enjoy fine dining at a fraction of the price during this time of year. Pair that with a killer lodging deal and you’re vacationing in Breckenridge on a shoestring. Wondering what to do outside of your awesomely discounted lodging and half price meals? Don’t fret – Breckenridge has plenty to offer during this mud season. Click here for events going on around Breckenridge this spring! So what is the dining passport and how do you get one? The dining passport is put on by the Breckenridge Restaurant Association scholarship fund, which provides scholarships to local students who work in the restaurant and hospitality industry as well as those interested in careers within the restaurant industry. They are valid April 18th through June 9th. Passports will be available for purchase at participating restaurants and the Breckenridge Welcome Center. Each passport is valid for two people. Briar Rose Chophouse April 18- May 14- 2-course seasonal prix fixe meal for $38. Wine pairing available. May 15- June 9- 2-for-1 entrées with the purchase of a bottle of wine or an appetizer or a dessert. The promotion will be available in the saloon or dining room. Reservations for the dining room highly recommended. Burke & Riley’s Irish Pub April 18- June 9- 10% off entire bill with your passport. May 1- 31- For locals only: 50% off alcohol/drinks and $7.95 or less for food (be prepared to show local ID). Closed May 2-6. CB. & Potts Restaurant and Taproom (new!) April 18- June 9- Buy one entrée, receive $10 off the other. Also includes choice of either key lime pie or peanut butter pie to share. Crêpes a la Cart April 18- April 30- 20% off a crêpe with purchase of a beverage. May 1- June 9- Buy 1 crêpe, get one 50% off. Downstairs at Eric’s April 18- June 9- Kids Eat Free….with the purchase of one adult entrée per kid’s entrée. Some restrictions apply. The Dredge Restaurant May 26- June 9- Valid Sunday- Thursday- 2 for 1 dinners (with the purchase of a bottle of wine or an appetizer, dessert or alcoholic beverage each). Certain exclusions apply. May not be combined with other offers. Gratuity may be added to original amount. Join us for Happy Hour in the Bar 4-6pm and 9-11pm. Closed April 17- May 25. Opening Memorial Day Weekend. Weekend lunches starting soon! Fatty’s Pizzeria May 6- June 9-Sunday- Thursday, 4-10 pm only. 2 for 1 entrées. Dine- in only. Pizza and Sandwiches are excluded. Clam Bakes are back! Just like the beach: clams, lobster, shrimp, corn, potatoes. Fridays from 6pm until they’re gone. May 13, May 20, May 27, June 3. Closed April 18- May 5. Giampietro’s April 18- June 9-Giampietro’s is closed for renovation. Giampietro’s will reopen in early June— more spacious and beautiful than ever–still serving the best pizza and Italian food in Breckenridge. We suggest that you enjoy the special offers in this Dining Passport from our sister restaurants: Park & Main Quality Food and Briar Rose Chophouse. Please “Like” our Facebook page to be among the first to know when we reopen. Thank you for making us so popular that we need more space! We look forward to serving you again soon. Hearthstone May 6- June 9- Thursday- Sunday: 3 course dinner for $35. Monday- Wednesday: 2 for 1 entrées. Closed April 17 – May 5 Jake’s April 18- June 9- Buy 1, get 1 free on your first drink. Bar open 2pm Monday-Thursday, open at noon Friday-Sunday. Kitchen closed for spring. Some restrictions apply. Kenosha Steakhouse April 19- June 9- 2 for 1 CRAFT BEERS every day (two beers per person-not a shared discount). Open daily at 11:30 am. La Francaise Bakery April 18- June 9- 2 for 1 sandwiches, omelets and crêpes (with purchase of drink or pastry with each sandwich, omelet or crêpe). Lost Cajun April 18- April 24 and May 26- June 9 – free order of beignets with any purchase. Breckenridge location only. Closed April 25- May 25. Mi Casa April 18 – May 4 and May 26 – June 9- Sunday- Wednesday: 2 for 1 entrées. Thursday – Saturday: Date Night Menu- 3 course dinner for $30.00 per couple. Both promotions available after 3:30. Closed May 6 – May 25. Michael’s Italian Restaurant May 16- June 9- 2 for 1 dinner entrées. Closed April 17- May 15. Modis April 18- May 15 and May 26- June 9 – Come try our Colorado Contemporary Cuisine! Nightly $15 Dinner Special. Add on: Select glasses of wine, cocktails, appetizers, or desserts for $5. ½ price on select bottles of wine. (Limit 2 add ons per dinner special. Some restrictions apply, please ask server for details.) Happy Hour Drink Prices All Night in the Bar- open at 3pm. Closed Mondays and Tuesdays. Closed May 16- May 25. Motherloaded Tavern April 18- June 9 – 2 for 1’s 11:30- 1:30 and 5-7 every day with the passport. Gratuity may be included on total before discount. Mountain Flying Fish April 18- June 9- 20 % off all rolls. Dine- in only. Some restrictions apply. Call for closed dates. Mugshot Café (new!) 435 N. Park Ave. (in Alpine Sports Bldg.) 970-453-9623 April 18- June 9. Free Medium Drip Coffee with the purchase of a Breakfast Sandwich. Open 7am- 2pm. Ollie’s Pub and Grub April 18- June 9 – Choose any two food items for $16. Monday thru Thursday, open-close. (Excludes large wing order.) Does not include sales tax. Dine- in only. Not valid with any other discounts or promotions. Relish April 18- April 23- 2 Courses for $29 a person- Entrée paired with an appetizer. Closed April 24- May 19. May 20- June 9- 2 Courses for $29 a person- Entrée paired with an appetizer. Subway – Breckenridge April 18- June 9- Free 6 inch sub- Buy any 6” sub and any drink and get a regular 6” sub of equal or lesser price Free! Traverse Restaurant & Bar (in The Lodge at Breckenridge) April 18- June 9- Free bottle of wine ($50 or less) with purchase of 2 Entrées Happy Hour Every Day, 4-6 pm- $3 off Appetizers and Drinks Certain exclusions may apply, may not be combined with any other offers. Twist April 18- April 23- 2 Courses for $25 a person- Entrée paired with an appetizer. Closed April 24- May 19. May 20- June 9- 2 Courses for $25 a person- Entrée paired with an appetizer. There you have it! 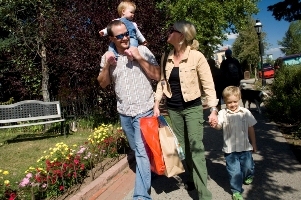 Enjoy mud season in Breckenridge with the whole family. There is sure to be a place on this list that fancies the whole group! Use #bestofbreck when you are out and about to be featured on our Instagram! https://www.bestofbreck.com/wp-content/uploads/2016/04/Dining-Passport.jpg 1500 1500 Stefanie Van Der Kar https://www.bestofbreck.com/wp-content/uploads/2015/08/logo-332x156.png Stefanie Van Der Kar2016-04-26 19:24:042018-07-02 10:28:48Dining Passports are BACK! It’s that time of year again in Summit County… The ski slopes are closed (except a couple at Arapahoe Basin), the snow is melting and you’d better make sure you’re wearing some rain boots for the next couple weeks. Despite the negative reputation that it’s gained, mud season can actually be one of the most enjoyable times of year here. Spring in Breck is characterized by crazy weather that can quickly go from sunny in the high 50s to freezing rain, which makes shopping an ideal activity to enjoy, especially since this time of year is way less crowded and there are many deals to be had. Stores are trying to get rid of old inventory and make room for new merchandise. Some of our favorite stores in Breckenridge are having unreal deals that you shouldn’t miss out on. Sun logic is offering up to 40% off of a ton of their inventory, as well as two-for-one beanies. Mountain Angler is also selling off their winter inventory at 40% off while supplies last. Beloved Boutique runs weekly specials that vary, with 15% off storewide currently. Shirt Off My Back is a great spot to get souvenirs and Breckenridge gear, and they are currently running 50% off of some of their inventory. For more details on the best shops in town and a complete shopping guide to Breck, please see this blog. On top of the awesome shopping deals, dining out in Breck is an equally awesome mud season pastime, due to two-for-one dinner specials. 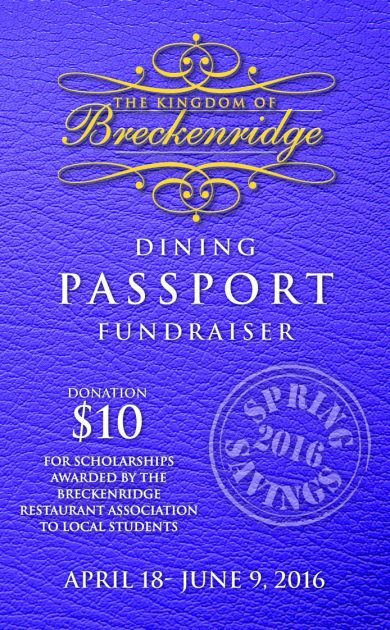 The Breckenridge Spring 2016 Dining Passport runs from April 18 through June 9. It costs $10, which is put towards a scholarship fund and you will quickly make that money back with all of the deals and information that can be found inside the passport. Some of our favorites include Hearthstone Restaurant’s two-for-one dinner entrées, Downstairs at Eric’s kids eat for free deals and Briar Rose’s two-for-one entrees when you purchase a bottle of wine. Make sure to call ahead, as many businesses do close for a couple of days during this period of time. To all of the naysayers out there who think that mud season is a less than ideal time of year to be in Breck, we hope you will reconsider after reading this blog. Aside from the awesome shopping and remarkable dining deals, there’s still a ton of fun things to do outside, too. Check out this blog for more details on mud season activities! 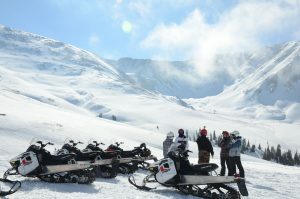 As always the best deals on lodging in town can be found at www.breckenridgediscountlodging.com. Breckenridge Ski Resort might be closed, but there are still some great activities to do in the mountains! If you are planning a getaway to Breckenridge this week, check out these activities going on around town! There are tons of fun activities going on Breckenridge. Click here for more information on all these activities and more! Get the best deals on lodging! Check out the Early Bird Summer Special below and receive lodging and golf up to 40% off! The warm weather and spring skiing has arrived! If you’re looking for activities to indulge in after a day on the slopes, check out what’s going on in Breckenridge this weekend!